Good morning long weekend, hopefully everyone have a good plan for this long weekend already. 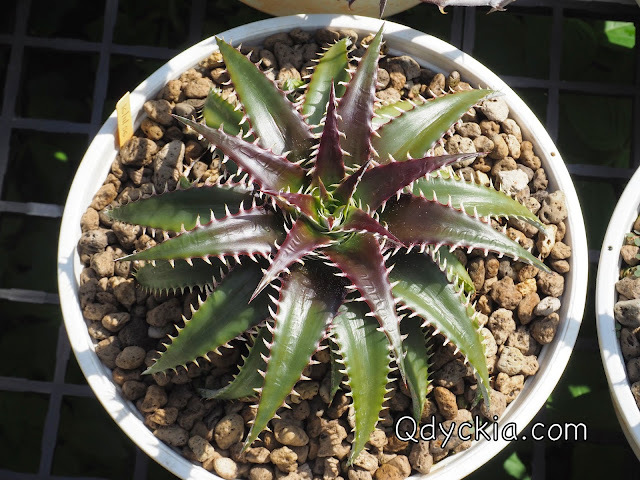 My plan just take care all of my big plants such as re-pot, separate pups and more more and more. Red Leaf, nice trichome and beautiful spines. 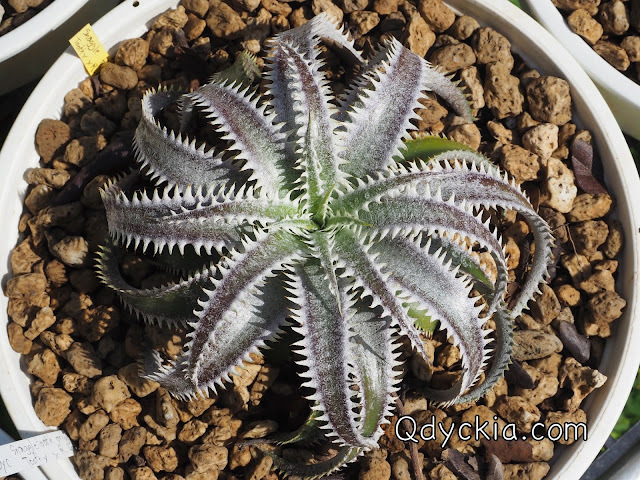 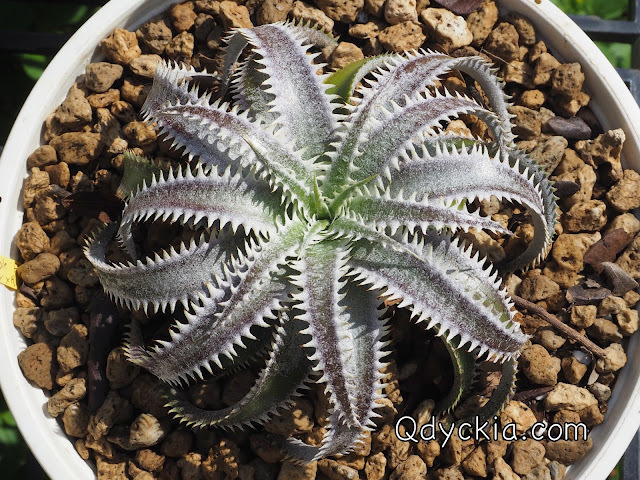 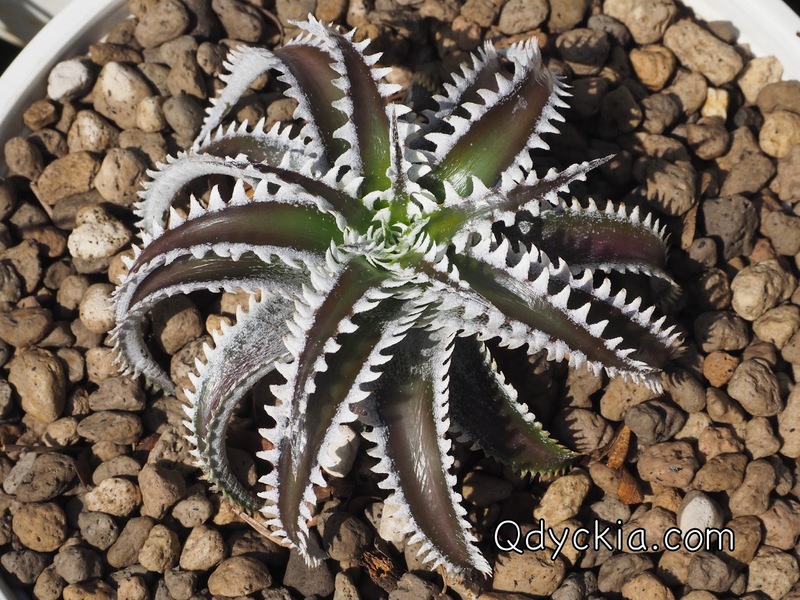 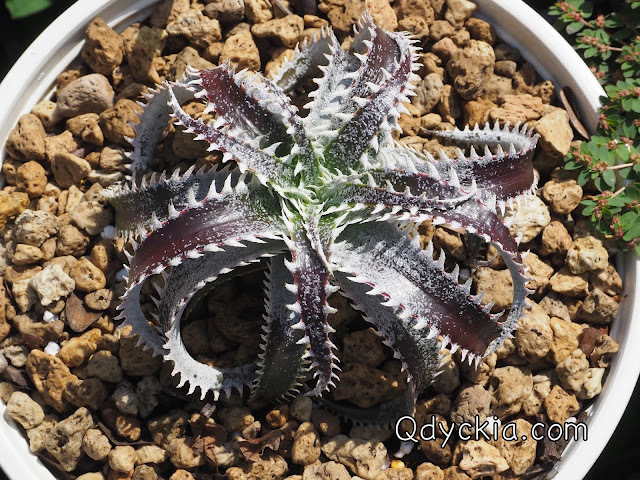 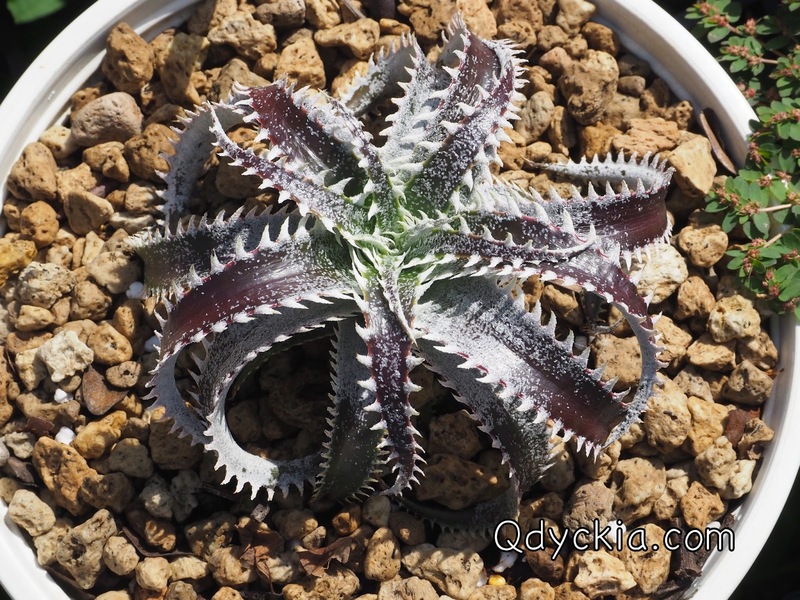 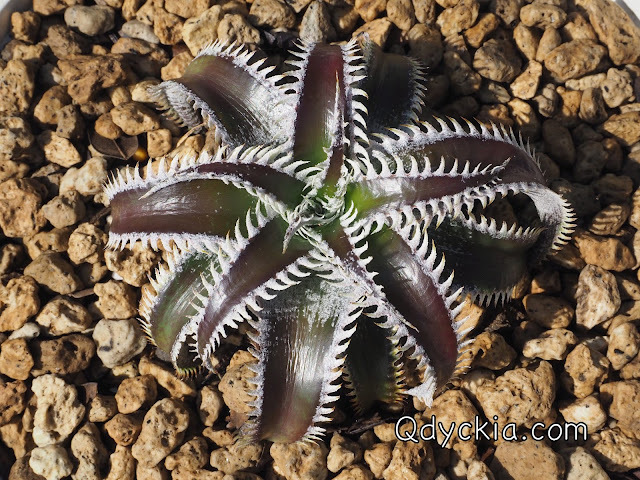 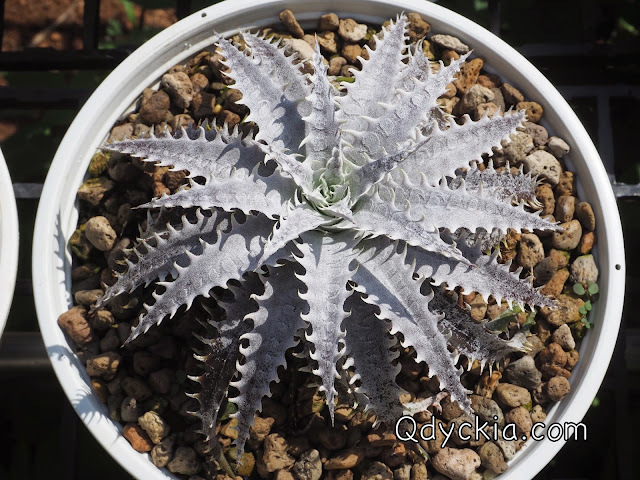 Dyckia HU-5 X Squid, very big white spines. 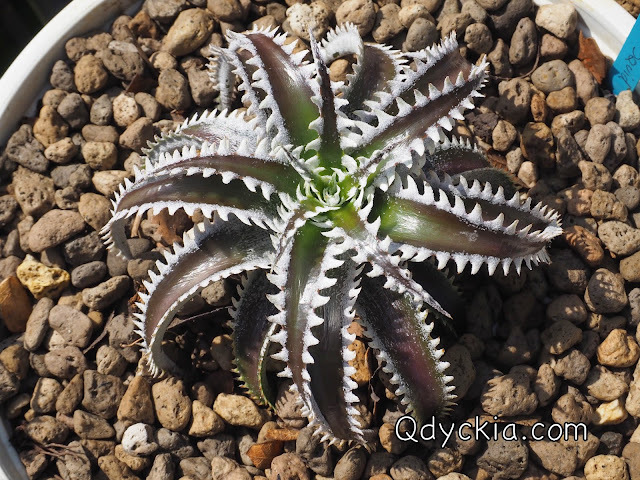 Small and compact form with very nice teeth. 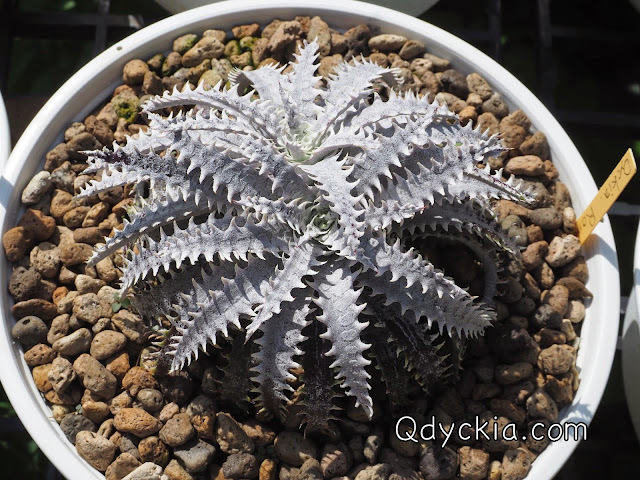 Dyckia Romeo, all white in the small ball shape. Dyckia Bangkok Star X Heaven and Hell, lovely spines. 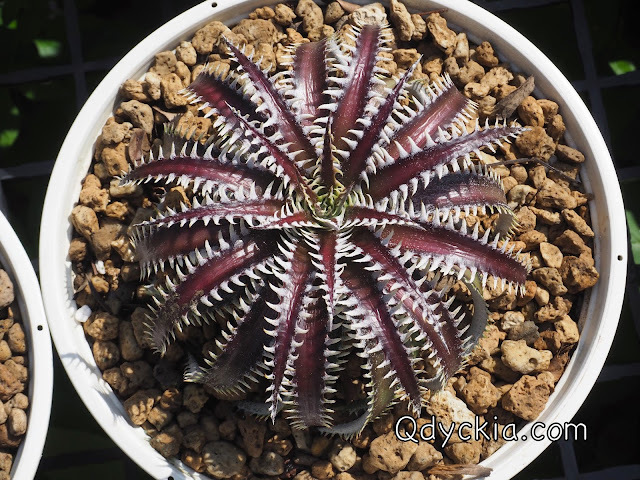 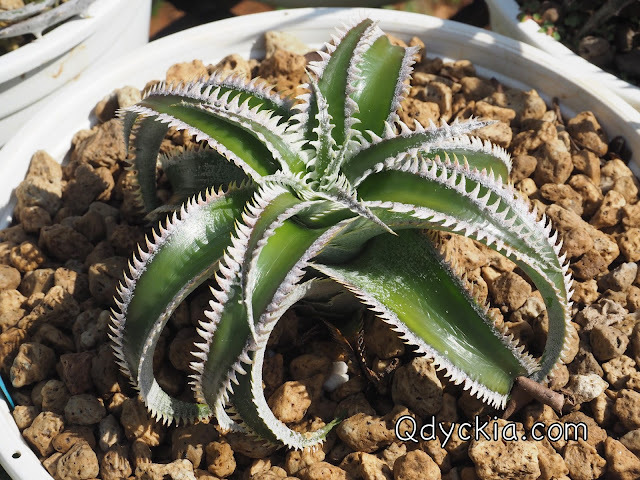 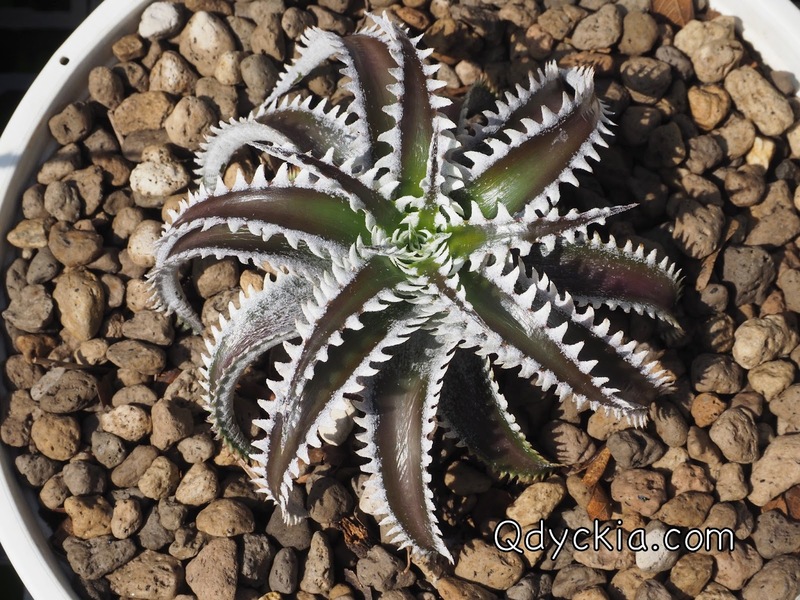 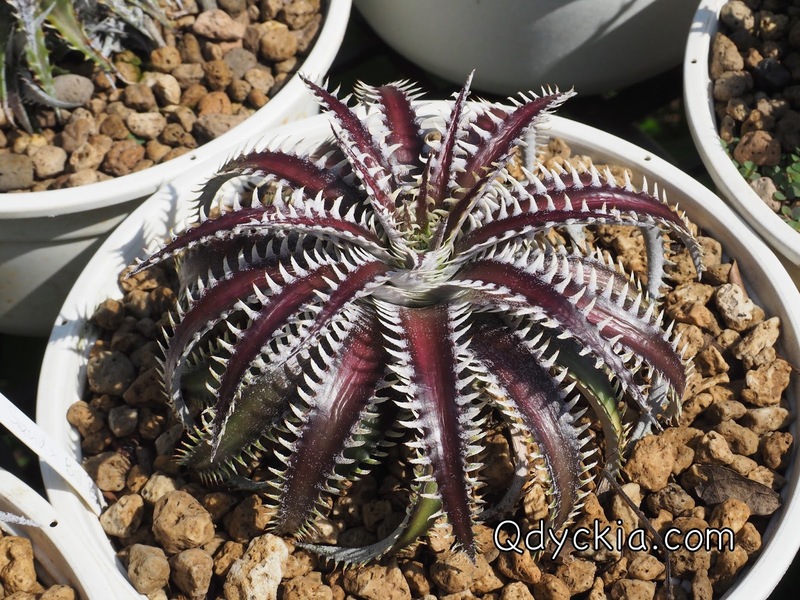 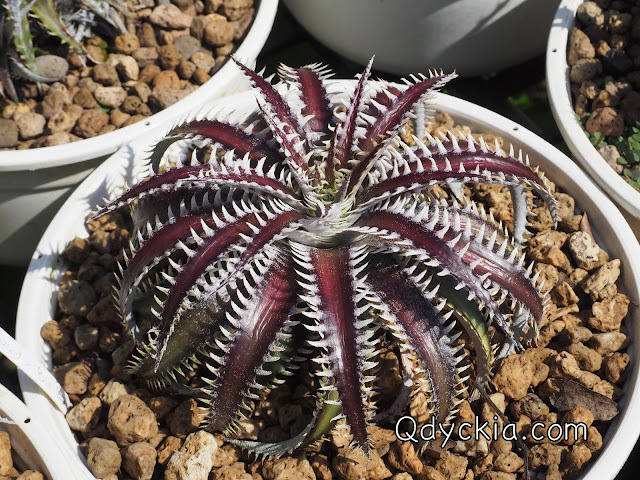 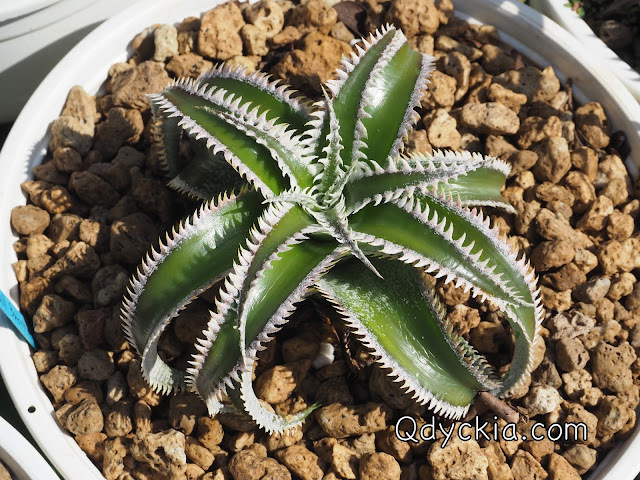 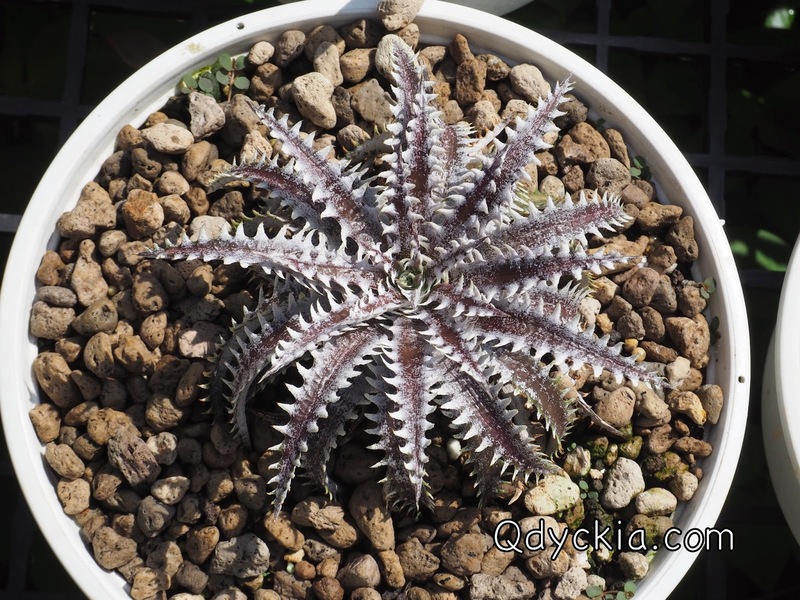 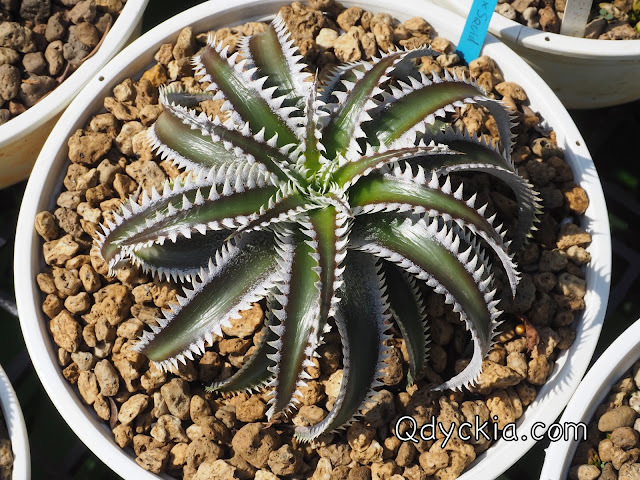 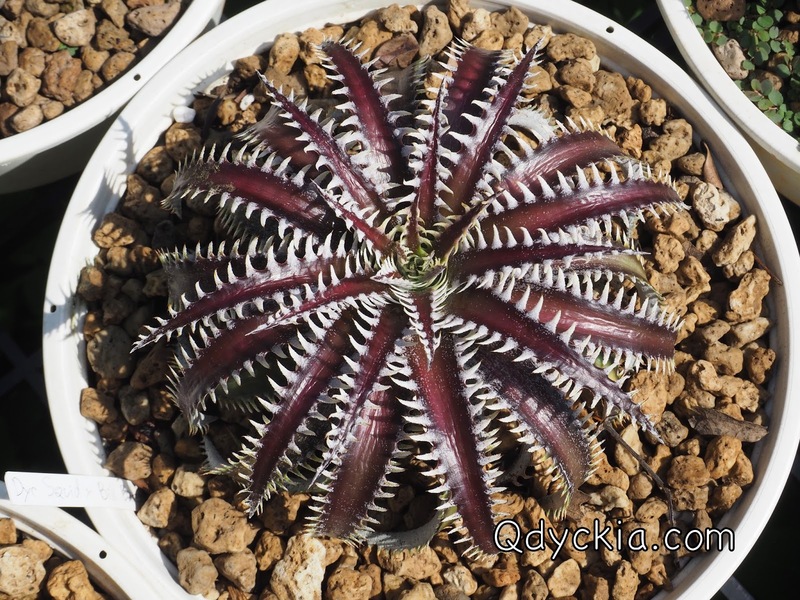 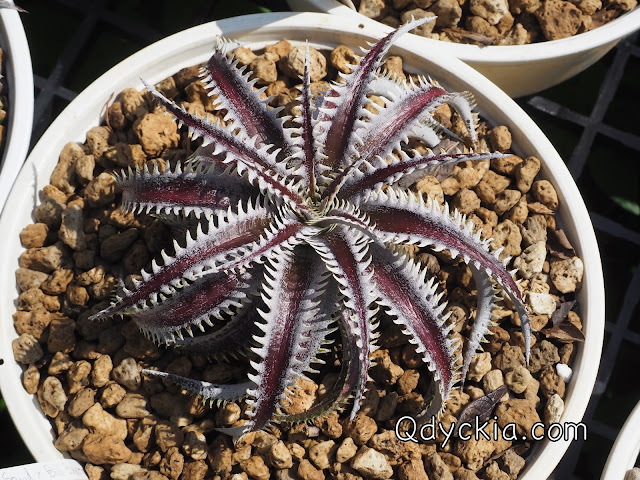 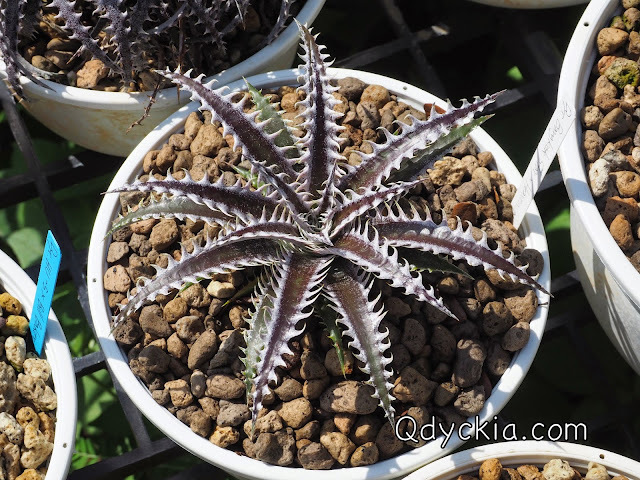 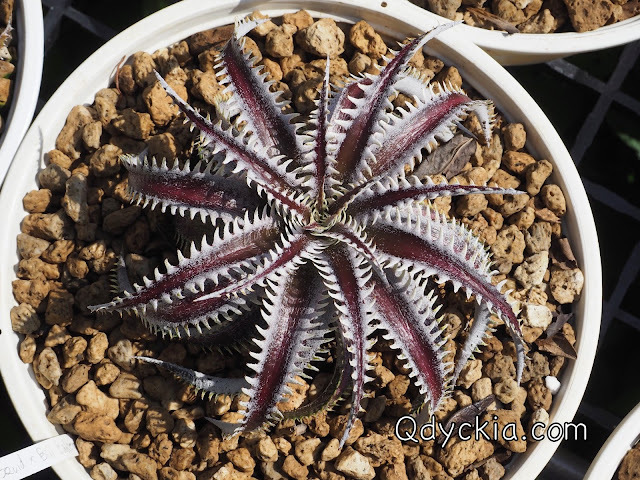 Dyckia goehringii type clone X Bangkok Star, strong and look so nice. 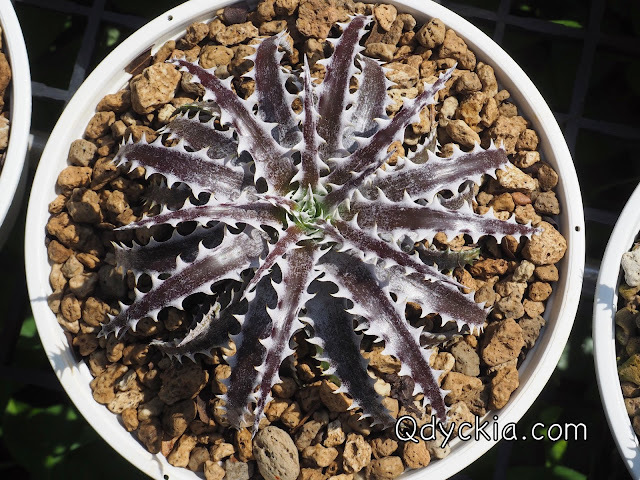 Dyckia ( marnier-lapostollei X Shinning Star ) X Zinfandel F2 # 8, just all white. Look at the white teeth, just beautiful. 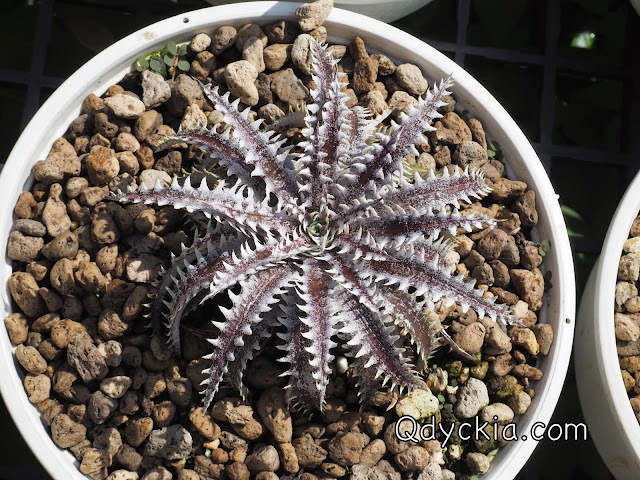 Small and compact form so just very fine hybrid.